Pokémon GO Starly is a Normal and Flying type Pokémon that evolves into Staravia and then Staraptor. Because it is the “regional bird” (Pidgey, Hoothoot, Taillow equivalent) of Generation 4, it will likely follow Pidgey’s evolution pattern and cost 12 candies to evolve into its first-stage form, Staravia, and 50 candies to evolve into its final form, Staraptor. Starly has a max CP of 603, with an ATK of 101, DEF of 58 and STA of 80. Although Staraptor actually has a chance at being meta-relevant unlike the final forms of other bird Pokémon, Starly will likely be used mostly as evolution fodder for XP. Starly is expected to be a 1KM buddy like Pidgey, Taillow, and Hoothoot. It’s up in the air (pun intended) at this point about whether or not Starly will be hatchable from Eggs; Taillow is hatchable from 2KMs, and Pidgey was hatchable in the past as well. If it is included in the Generation 4 Egg pool, we can reasonably expect it to hatch from 2KM Eggs. As a NormalFlying type, Starly will be boosted by Partly Cloudy and Windy weather in which its max encounter CP (at level 35) is 560. In all other weather conditions, its max encounter CP (at level 30) is 517. Starly is highly unlikely to ever become a raid boss. If it does for whatever reason, its boss CP (assuming a Tier 1 raid) would be 2427 and its max capture CP (level 20) would be 344 (430 if weather-boosted at level 25). Shiny Starly looks quite similar to a regular Starly, but its gray-brown feathers turn a richer, slightly more orange, shade of brown. 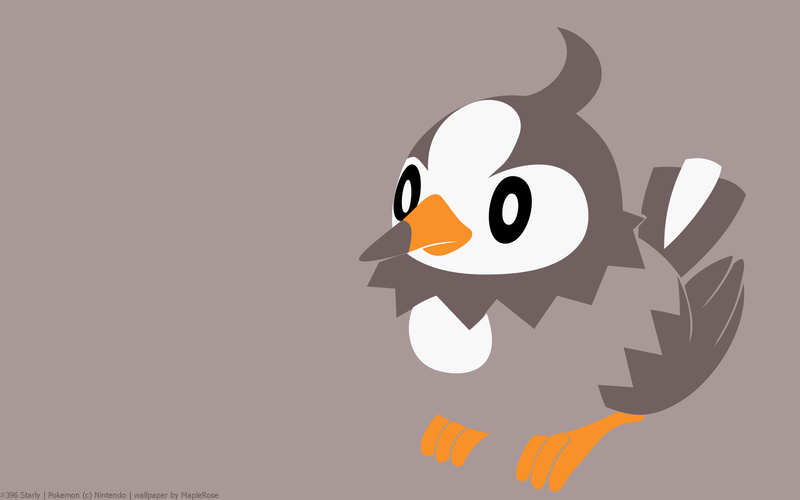 Its Heartgold/Soulsilver Pokédex entry states that “They flock around mountains and fields, chasing after bug Pokémon. Their singing is noisy and annoying.” It’s still an adorable little bird, though!